Family heirloom. 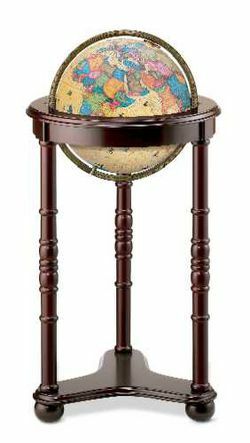 Classic in design, this traditional chairside illuminated floor globe with dark cherry-finish and decorative carved accents enhances the rich copper hues of our 12" diameter bronze metallic globe with metal die-cast meridian. Families can enjoy this heirloom for years to come.